Gospoda Kwiaty Polskie, literally translated as "Polish Flower Inn," is blooming with original culinary ideas that give a twist to standard Polish cuisine. Of course, the old favourites are all still there, such as Polish dumplings (pierogi), a variety of soups and some hearty portions of meat and fish dishes. Perfectly located in the Old Town of Warsaw. 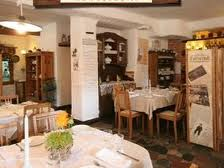 Restaurat is located in the center of Warsaw, so it is really easy to get there. It is placed underground in the historical cellar with old photos and other paraphernalia hang on the walls. what provides a nice atmosphare. 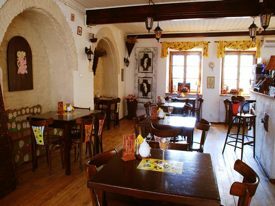 As the name suggest this is place where guests can try eastern cuisine with delicious dishes based on 100-years-old receipes, huge portions, oldschool ambience and friendly staff. The food is good, and guests can try nice drinks special for that region and moreover the prices are reasonable.